Fitness Classes in Abu Dhabi – Yoga, Qi Gong, and Tai Chi are ancient methods of creating psychological, physical and spiritual balance that focus on the body, mind, and spirit. 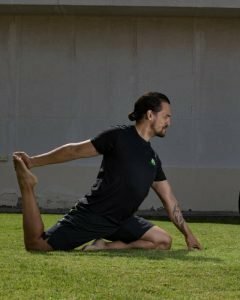 Unlike a traditional workout, yoga and tai chi focus on precise movements that allow the body to slowly transition from one position to the next. Our classes aim to coordinate the muscles, bones, heart and mind with the positive energy that surrounds the body. This fitness class in Abu Dhabi is held with Leo, a professional boxing and martial arts personal trainer based in Abu Dhabi.